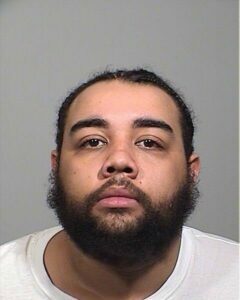 The 25-year-old suspect is being held in connection with a disturbance early Saturday on Sherman Street, police say. A 25-year-old man was arrested Saturday for allegedly shooting a gun in the Sherman Street area of Portland earlier in the day. Markus Scott, whose hometown was not released, was arrested around 5 p.m. by Lewiston police and the FBI Safe Streets Taskforce, Portland police announced Saturday night. He is charged with reckless conduct with a firearm, which is a felony. Police were called to a disturbance near 10 Sherman St. at 3:27 a.m. Several gunshots were heard as officers arrived at the scene, according to police. Scott is being held at the Cumberland County Jail in Portland.